JEFFERSON CITY, Mo. 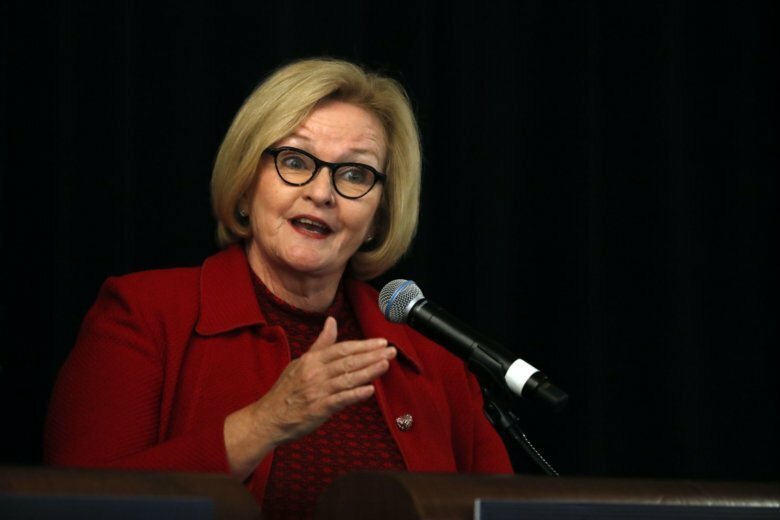 (AP) — Missouri’s Democratic Sen. Claire McCaskill is making a bid for a third term in a state that’s trended increasingly red in recent years, setting up a nationally watched showdown that could be pivotal to party control of the Senate. The senator will face off against Republican challenger Josh Hawley, a Stanford- and Yale-educated lawyer who was elected Missouri attorney general in 2016. Polls show the race to be a toss-up. In that climate, McCaskill is campaigning as a moderate, hoping to peel away votes in Republican strongholds. She barnstormed rural parts of the state with more than 50 town halls since last year. “I will work with anyone to get things done for the people of Missouri, and I’m proud of the accomplishments that I’ve been able to deliver for Missourians by working across the aisle with my Republican colleagues,” she said in a statement Tuesday. For his part, Hawley has aligned himself closely with Trump, who has come to the state to campaign for him. Hawley is attempting to paint McCaskill as an obstructionist to the president, and he’s been particularly critical of McCaskill over her decision to vote against Trump’s Supreme Court pick, Judge Brett Kavanaugh. “We have the ability to decide if we want the radical, left-wing agenda of Nancy Pelosi and Chuck Schumer to control Washington, or if we want new leadership that will support the president in his mission to get things done for our state and our country,” Hawley said in a statement last week, adding that McCaskill has “drifted away from Missouri” during her time in office. Republicans view the Missouri contest as one of their best chances of flipping a seat in the Senate, where the GOP is fighting to hold onto a 51-49 edge. Democrats also are eyeing the Senate, but with 10 senators running for re-election in states Trump won, they face a much tougher road to victory in the upper chamber than in the House and need to hold on to every seat they have. The high stakes and national interest have driven millions of dollars from outside groups into the state, especially for negative ads. Senate Majority PAC, which has ties to Senate Democratic leader Chuck Schumer of New York and former President Barack Obama, aired ads against Hawley. Senate Leadership Fund, which has ties to Senate Majority Leader Mitch McConnell, R-Ky., is running ads attacking McCaskill. McCaskill is a skilled campaigner and earned a reputation among Missouri Republicans for her role in meddling in the 2012 Republican primary to get Akin, the challenger she considered the weakest. In her memoir, McCaskill acknowledged that she used “reverse psychology” and aired ads before the primary that played up Akin’s conservative views and urged Republicans to vote against him. With those ads coming from a Democrat, her campaign hoped that would persuade Republicans to choose Akin over his more moderate opponents. It worked. Hawley is no Akin and is seen as more reliable on the stump, but McCaskill’s 2012 efforts demonstrate that she’s a wily campaigner.